Satkar hotel has the premium and supreme accommodation among all hotels present in Jaipur. Here we consider customer's satisfaction as our first priority and we provide excellent services to our guests. It is one of the best hotels because it is most attractive and elegant hotel in jaipur. Satkar hotel provides exceptional and spectacular hospitality to our customers. Our hotel staff are very efficient and provide very productive services. It is located near railway station, bus stand around one kilometer from it in the heart of the city. Satkar hotel is cost-effective, economical and budget hotel in jaipur near bus stand. Facilities provided by us are top class. If you are single or with your family, we provide all sorts of accommodation. We provide Deluxe single room, Deluxe double room, Ac Deluxe single room, Ac Deluxe Double room and Deluxe Family room according to the customer's need and provide them at reasonable and economical costs. All sorts of facilities like wireless high speed internet, direct cable tv are provided by us. If you are feeling sick, we provide doctor on call. We can also get you air, bus and train reservation. We can also book movie tickets for you. For travelling, we provide car rental services. Various tour and travel packages are offered by us . Further details you will get in Tour Package section. All sorts of comfort like hot and cold shower, same day laundry services are provided by us. Colorful and vivid market is located near our hotel from where you can buy all sorts of accessories that too at cheaper rate. We have splendidly designed and planned our guestrooms and boardrooms for the ease and connivance of our customers. We provide our customers peaceful and calm environment so that they can enjoy their movement. Jaipur is also known as pinkcity . It is among the most incredible tourist attractions in Rajasthan . 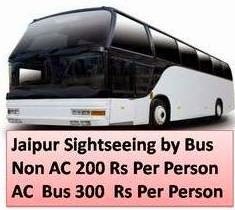 Jaipur lures large number of tourists via charming palaces, splendid forts , museums , havelli and vivid market . The city is regarded as the leading tourist destinations in India . Jaipur is located in Rajasthan, India . Ideal season to go to jaipur is October to march. In summer, temperature ranges from 25 .8 to 45°C .In winter temperature ranges from 5 to 22°C .Monsoon season is from June to September. It is spread across 111 .8km2 . Rajasthani, Hindi, Punjabi are the languages spoken here. Jaipur is among the ancient royal cities of India. It was established by Maharaja Sawai Jai Singh II . Jaipur is also known as land of Rajputs . The huge fortresses in the city demonstrates the royalty of Rajput. Jaipur is surrounded by huge forts , architectural buildings , magnificent museums , stunning gardens , and holy temples . Variety of festivals like Gangaur, Teej Festival and Elephant Festival are celebrated here. Places to visit in Jaipur : Jantar Mantar : It has been regarded as the most” realistic and logical landscape in stone” . There are 16 instruments present here which are still used for weather forecasting . City Palace : It is popularly known for its magnificent carpets , musical instruments, miniature paintings ,splendid manuscripts , royal costumes . Hawa Mahal : It is a five story front view of a palace which attracts the tourist. Amber Fort : It has a historical importance which makes it a most valuable place in Jaipur . Its architecture lures a large number of tourists to see it. Jaigarh Fort : Jaigarh fort and the Amber Fort are connected by well secure The Jaigarh fort is situated at an height of 400 ft from the Amber Fort. World’s largest cannon present in its premises . Nahargarh Fort : It was built by Sawai Jai Singh to protect his new city. Sunset view can be seen from Nahargarh Fort.